4th, 5th and 6th class did a great job teaching us all about the amount of sugar, salt and fat in different foods this week. We were amazed when 4th class told us there are 16 teaspoons of sugar in a bottle of Club Orange. A bottle of Coke has the same amount of sugar as 11 queen cakes!!!! 5th class did a lot of work on the amount of fat and salt in crisps. We were surprised to see a packet of Hunky Dorys has 13.6g of fat!! 6th class were given the task of finding out how much sugar in different chocolate bars. Mars had topped our bar chart with 30.5g of sugar (7 and a half teaspoons). It turns out a Wispa bar had the least sugar with 20.5g (5 teaspoons). The younger classes were invited to the halla today to look at the display and hear all about the findings. Staff were also heard discussing the amounts of sugar on display in the staff room and I think it’s safe to say we’ll all think twice the next time we’re reaching for a fizzy drink!! A special thanks to Mrs Ryan who came up with all the projects. If any parent would like to call in and see our display Monday or Tuesday you are most welcome. 6th Class Visit To Lifetime Lab! It all started on Friday the 3rd of October 2014 when 6th class took an amazing trip to the Lifetime Lab. The bus came for us around 9:15, the journey took about 45 minutes. When we got out of the bus it was pouring rain so we had to rush up the slippery stairs until we reached the Lab. There we met our instructor Úna. She led us to the lab and there she showed us where to put our coats and bags. Firstly we sat down in our groups of three. Úna then introduced us to her assistant Laura. Next she showed us how to make a simple circuit. Then she gave us our equipment and we set to work on our own circuits. We made a motor circuit, buzzer circuit and a light bulb circuit. Next we made a vibrating brush bot called ‘Scuabí’ using a motor circuit. Scuabí whizzed around the floor when he was completed. After that we had lunch and went outside to the playground to run around and get some fresh air. Then we went back inside and wired a mini house with 2 light bulbs and 1 light switch using 1 circuit. Next we investigated if humans were conductors or insulators. We stood in a circle and held hands using our hands as conductors to light the buzzer. Next people put their hands in water to see if water was a conductor. It was! The buzzer lit up with our hands in the water. Finally we made our own motorised cars. We wired a motor for our cars and then took them for a test drive. It was raining outside so we just raced them against each other in the room we were working in. I couldn’t believe how much I had learned in just a few hours. We did a quiz using voters and Úna praised us on how good we were. It was a fantastic day out and I’d recommend Lifetime Lab to anyone. The boys and girls enjoyed their coding workshop and many of them continue to try some more coding at home, which is absolutely brilliant! Let’s hope that some of our pupils will continue on this road and, who knows, we may have introduced future Computer Science graduates to their first lesson in Programming! 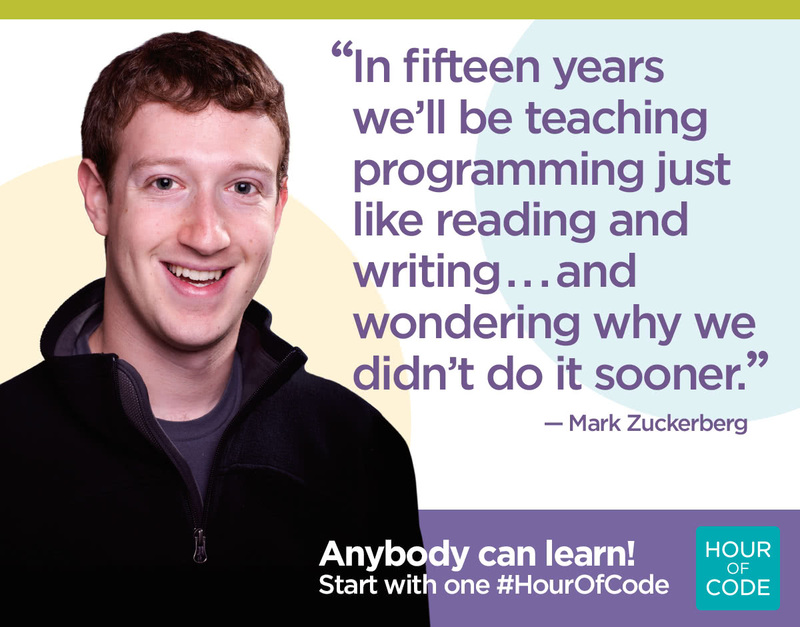 See links, below, for more news about Coding. The aim of Science Week is to promote the relevance of science, technology, engineering and maths (STEM) in our everyday lives and to demonstrate their importance to the future development of Irish society and to the economy. Here is a link to the Science Week website, with links to some very exciting experiments which you can try out at home. Congratulations goes to Keoni, Callum and Molly, who won Science Kits in a school draw, kindly organised by the Parents Association, in conjunction with Science Week. The lucky pupils are pictured, above, with Parents’ Association officers, Jackie, Tracy and Cathy. Everyone really enjoyed Science Week here in Shanbally and we all learned a lot. Thanks to 6th class who showed us lots of experiments. Our 6th class pupils were recently invited to DePuy Synthes to view and learn about their recently installed wind turbine. The pupils were shown an overview of the logistical operation to build the turbine and then proceeded to assemble and conduct experiments on wind turbine kits. In a recent school newsletter Principal, Mr. Nolan, expressed gratitude on behalf of the pupils and staff, for the warm and professional welcome we received from Donal Óg Cusack and his team on the day. Pictured, below, with Donál Óg Cusack and Mr. David Nolan, the happy group of students pose for a photo in the Conference room. Here are some accounts of the day, written by the pupils themselves. Trip To DePuy Synthes by Conor M.
On Friday, the 21st of March, 6th class went to DePuy Synthes. When we arrived, our guide Seán showed us around, and we got V.I.P Visitor badges. We then walked around the bottom floor, and saw all the workers, working at all the machines and devices. Some of them were working at computers. After that, we walked up the stairs, and ended up at the second floor. We walked up into a room, and met the famous Cork hurling player, Donal Óg Cusack. He explained about all the different things that the company make. He said that they make different baby products, such as baby oil and cotton buds. Then, he showed us a video, about all the body part replacements. They make artificial hips, knees and shoulders. Then he showed us a video about a man falling off a ladder, and how they fixed the body, using the artificial parts of the body. Next, a video of how DePuy built the Wind Turbine was shown. It explained about the unique steps included to construct the Wind Turbine. After that, we were asked to go into groups of 4 and make a miniture wind turbine. Kevin, Clare, Ala and I were in our group. We followed all the steps, made a few mistakes, but in the end, it was all worth it. We made a fully functioning wind turbine! After that, we got a bag full of goodies, to take home! Eventually, the fabulous day was all over. I now think that our school now has a long term relationship with DePuy Synthes. My Trip To DePuy Synthes by Kevin C.
On Friday 20th some sixth class pupils went to visit DePuy Synthes, to learn about the wind turbine that was recently built. First we went upstairs to the conference room. We watched a video showing us what DePuy does. They make artificial hips, knees, shoulders and much more! In the conference room you could see the enormous wind turbine that a big group of engineers built recently. Donal Óg Cusack, a famous hurler showed us a time-lapse video of the foundation of the turbine being built. It was amazing to see how much time and effort went into this project. Then we were introduced to some other members of staff who helped us to build model wind turbines. We were split up into groups and given a box with lego-like materials. A woman named Elaine helped my group of Conor, Claire, Ala and I. Then we began the building of the model turbines. Elaine told us she built one the night before and she had a bit of trouble. Some bits were tough but others we did with no bother. When we completed our model we got a small LED light and connected it to the model. Every rotation the turbine did the light blinked bright red. Afterwards we attached a battery that Elaine brought from her house. The blades kept spinning and spinning on their own! We changed the blades from three long white ones to six short blue ones. Soon after we got a photo, some lunch bags and I was taken to Elaine’s desk and she showed me a replacment hip as my Mom will be getting one soon. Overall our class had an amazing day and I would love to go to DePuy again. Maybe some day people from our class will be working there! We walked through the factory in to a conference room. We all sat down and Donal Og Cusack walked into the room. He showed us a cartoon video of all the bone replacements they make. Then showed us another video of the construction of the wind turbine. It was amazing watching how it was made. We were put into groups. In my group there was me, Laura and Olivia. Then a guy called Sean gave us a kit with lots of different parts to construct our own wind turbine. We found it quite hard at first but as we got the hang of it it was quite easy. Our tubine turned out well and we were quite proud of it. We had an amazing trip to DePuy Syntheses and I hope to visit again in the future. On Friday, 21st of March, 15 people from 6th class from Shanbally NS went to DePuySynthes. We arrived there in the morning and got our visitor badges. Our tour-guide, Seán, brought us around and showed us some of the machines that designed replacement body parts. Next he brought us up to the conference room. In there we met Donal Óg Cusack. He showed us a video why they need the replacement body parts and a video of them constructing the wind turbines. Next they gave us a kit to make our own wind-turbines. He gave us an instruction manual to help us build it. First we started making the base of where we would put the gears. Next we installed the gears into the base. Next we made the structure of the turbine and added the blades. Next we started spinning it with our hands. Next we added a battery and tested how much times it rotated in a minute, we did this by calculating how much time it took to get one blade from the bottom all the way around back to its highest point and dividing 60 by the time it took to rotate once. That was the end of our trip to DePuy. We got goody bags to bring back to the school. We got back on the bus and returned home. We really enjoyed our trip to DePuy and found it very interesting and learned a lot. My trip to Depuy on Friday the 21th of March. First we came off the bus and into the factory were we got visitor passes. We walked through the factory were we saw the workers making fake limbs. We then went into a board room were Donal Og Cusack talked to us about the wind turbine and what they make in DePuy. Next a man called Sean told us about what they make in DePuy and gave us a replacement knee and shoulder. We got to make toy wind turbines that work. It took a while to make them but we finally finished it. They looked really good and we could also change it to a wind mill. We took pictures with them and then we took them apart. We got food bags at the end and then left to go back to school. I had a great day and I hope to go back another day in the near future!!!! On the 20th of March some of my classmates and I went on an exciting tour to DePuy. Firstly we with a quick chat with Donal Og Cusack. Shortly afterwards we looked at the newly built wind turbine – it is 99 metres tall. Later we started to build a small wind turbine and a wind mill. I was very impressed with their facilities. They built a wind turbine to cut down on their 2 million Euro energy bill. It was almost a third of the their original energy bill which is amazing. Building a wind turbine was great, it was a real thrill to see the light turn bright red, later we began to get more and more adventurous by beginning to build a wind mill. We then finished the great day with a generous lunch from DePuy. I thoroughly enjoyed the day. By David F.
On 21st of March 16 lucky students got to go to DePuy in Ringskiddy. When we got there we got visitors badges which made me feel like I was a V.I.P. First we saw all of the machines on the ground floor and then our guide, Seán, took us up to the second floor where we meet Donal óg Cusack. He showed us a short clip and told us about some DePuy products such as baby products. Then we were saw how they made the wind turbine and that was very interesting. Personally I enjoyed the video about how the 150 metre wind turbine will make 90% of the power for the factory. After the short videos we made models of wind turbines and wind mills. At around 12:30 we had to go back on the bus to head back to schoo, l where Ms Tuohy took us to her class to type a report. So here I am typing about our exciting day. On the 21st of March my class had a choice to go to DePuy (Some people know it as Johnson and Johnson) or we could go to a quiz in Monkstown. I don’t like quizzes so I went to DePuy with all my friends! On the bus to DePuy I sat next to Maeve and we played games. At DePuy we then met a man at security and he gave us visitor badges with our names on them, he then showed us around. We met another man in a room with a bored were he then showed us a movie clip of the wind turbines being built. We then got put in a group and I was put with Maeve and Laura. We made wind turbines and windmills out of plastic pieces and saw them move. We then talked about the wind turbines being made and then we got ready to leave. We got goody bags at the end. On Friday the 20th of March our class went to DePuy Synthes on a tour. My Dad recently got a job there so I knew a bit about the place already, but I did find out a lot more. First of all we got our name tags so we could scan them and go into the 1st section of the building which was the main factory. We walked through the factory pretty quickly and walked up a flight of stairs, we were then walking into an office. Half ways through the office there was a conference room with a great view of the wind turbines and Cork harbour. We sat down in the most comfortable seats ever and we watched a time lapse on how the wind turbines were built, we also watched a video, explaining what DePuy Synthes actually did. Donal Og Cusack the hurling legend talked to us briefly asking what we currently knew about wind turbines. After our chat some of the workers there brought in a mini wind turbine kit. We built the kit by following the instructions as showed in the booklet included. It was very fun and took about an hour to complete but it came out very nicely. When we were leaving, the workers offered us a goody bag which included a small nutrigrain bar, a packet of crisps, an apple/bannana and a small juice box. We were then finished the tour and we made our way back through the main factory. When we reached the reception area we had to give back or name tags. It was a great day and I would definitely go back again. On Friday the 20th of March 2014 half of sixth class went to DePuy Synthes for a tour. We arrived there at 9:50. When we entered we recived a visitors pass so we could reach all the areas blocked by a gate. This gate only opened when you swiped your card across the top. Sean was the name of the engineer who showed us where to go and talked to us about what he does as an engineer. We came to a conference room and Donal Óg Cusack was waiting there for us. Donal Óg then showed us a video of what they produce. They make knee, hip, shoulder, wrist, finger, spine disc and ankle. As they showed us the video, they passed around a shoulder replacement. Next he showed us a time lapse video of their wind turbine. I found it very interesting. I was amazed that they could put in the foundation in 12 hours when it usually takes 2 days. When we were finished watching the time lapse video we took a picture because Donal had to go to Dublin. We all showed our gratitude to him for taking time to talk to us and show us the wind turbine. When he left we moved on to the model wind turbine. I was in a group with Ala, Conor and Kevin. Elaine was the name of the women who helped us. She said that we were very good engineers. The wind turbine was alot bigger and more difficult then I expected but we did very well. When we were done we made a wind mill and Elaine showed us how if you blow on the top of a piece of paper it rises. Finally we took a goody bag said thank you and good-bye and left for Shanbally. It was a great day. Shanbally N.S has received the award for excellence in Science and Maths for the third year in a row. Well done to all the children and staff for all the excellent Science and Maths work which took place in every class, from Junior Infants to Sixth Class, throughout the whole school. A special mention goes to Mrs O Donovan (First Class teacher), for co-ordinating this project and for ensuring that all classes could play their part in order to receive the science award. Thanks also to Ms. O’ Connell who helped Ms. O’Donovan prepare the Science Scrap Book. All the students and staff are delighted with the news of the award. On the fourth of April , Senior Infants, First and Second Classes attended a sustainable energy workshop in the halla. Grace, from the Lifetime Lab, presented the workshop. It was sponsored by the SEAI. All the classes enjoyed the workshop in turn. Guzzler is a puppet that uses lots of electricity. We woke Guzzler up and tried to explain to him how to conserve energy. We learnt that food energy comes from the sun. By blowing into balloons we created wind energy. A basketball uses energy in three different ways, bouncing, vibrating and sound. Clothes keep us warm as we discovered in the clothes race. To celebrate Engineers week 2014, the children from 3rd to 6th classes were treated with a special visit from local Engineer Mick O’ Donovan. He taught us about the many different types of engineers and gave us an insight into a typical days work for such a profession. Each class then took part in a very hands-on and creative workshop which entailed building rockets and other exciting activities. A big thank you to Mick for such an exciting and memorable day. 6th class worked very hard last week doing experiments for every class. Here are some reports they have written!! in May 2014, for the third year in a row. Shanbally school pupils took part in the Greenwave project again this year. Pupils in Fifth Class measured the average temperature, the average rainfall and the wind speed in our area each week during Spring. By taking part in Greenwave our school earned credit towards the Discover Primary Science Awards of Science Excellence! We took part in the Greenwave experiment. This sets out to see when does Spring come to Ireland. Does spring move from south to north across Ireland or inland from the coast to the centre? Hundreds of schools all over Ireland submit weekly recordings of the temperature, rainfall and wind speed. We are proud to be part of this activity. Cian spotted frog spawn in his nana’s garden pond near Togher in Cork city. Soren took these photos of the hawthorn buds on the trees at the back of the school. On Friday 15th of November a man called Paul came to our school and gave us a demonstration on a number of Science experiments. Fourth, Fifth and Sixth class along with 5th and 6th class from Ringiskiddy N.S. gathered in the halla to watch the show. He showed us how magicians use science in their tricks. First of all he got a volunteer from the crowd which was Christopher Sisk from 6th class. He got a table cloth and put it on the table, next he put a plate and a knife and fork and then he got Christopher to pull the cloth from under the plate and the knife and fork. Everyone thought it was not going to work, but it did! It was a brilliant trick! One of his best tricks was when he blew up marshmallows to double their size. He did this by placing the sweets into a container. He then sucked out all the air from the container. The marshmallows doubled in size. There was a little switch on the top of the container that he pressed. This let all the air back into the container which made the marshmallows shrink back to their normal size. He also did a trick where he got three cups and put water in the middle one but what nobody knew was that he put polymer in the cup with water so it soaked up the water so when he mixed the cups up and the children picked the cup they thought the water was in but there was none. He explained how it happened and then got his next trick ready. One of his tricks was where he had taped a stone to the side of a roses tin. He put it on a ramp and when he let it go, it rolled up instead of down. He explained how the gravity pulled the heavy stone towards the floor so the tin rolled up the ramp. He told us a story about a guy named Mark from the U.S.A that came up with a new type of paper aeroplane that was circular. It was Paul’s favourite science toy. He showed us how it was made from paper and then he threw it but it did not go very far, but then he got a slingshot and twisted it, it went way farther than when he threw it by hand. He also showed us how to show how big your lungs are. He got Tianna as a volunteer to blow into a bag. She blew four times and filled quarter of the long bag. There were many more experiments that we could write about but it would take us all day! We really enjoyed all the experiments and we hope that Paul will come and visit us again very soon! 6th class worked very hard during Science Week, doing experiments for every class.